Free Climbing in the Bugaboos is nothing new. In 1916, Konrad Kain unlocked the Gendarme pitch on the South Ridge of Bugaboo Spire, not only did he bag the first ascent one of the most beautiful mountains on the continent but also climbed what is widely recognized as the most difficult free climbing passage yet climbed in North America. Conrad Kain’s route follows the left skyline. 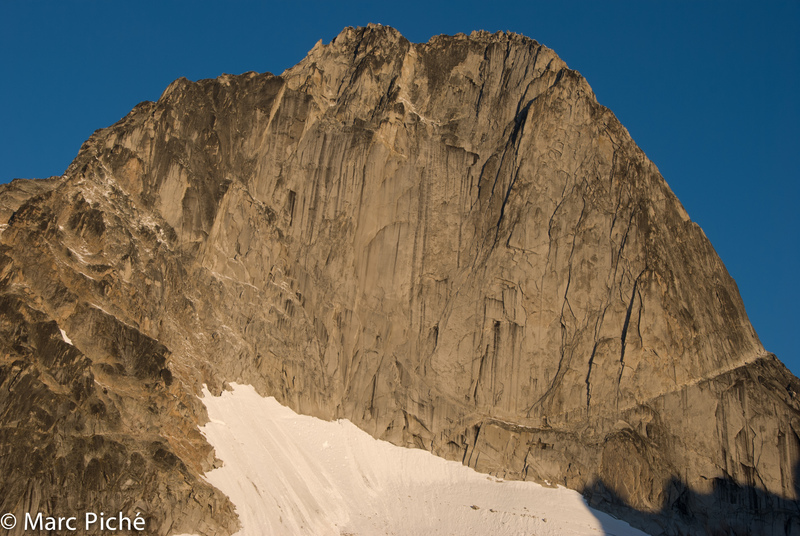 Modern free climbing in the Bugaboos has generally been very limited and sporadic. Some visionary ascents in the late 70’s to early 80’s gives way to a long dormant period of the 80’s. Three ascents in the 90’s pointed to the potential. After the turn of the century momentum started to build as more and more sustained free ascents were established. Today there is a definite buzz around the place as a critical mass of “local” talent returns again and again realizing the massive untapped potential the spires hold. 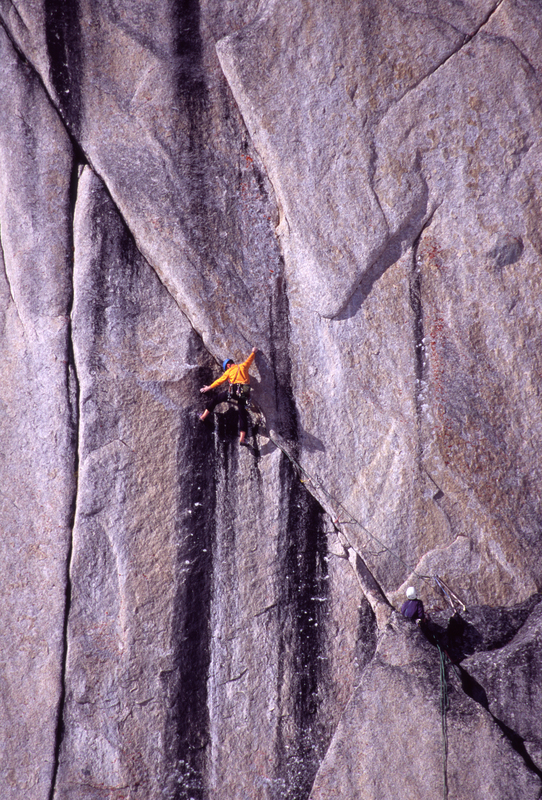 Climbers approaching the first crux on The Power of Lard 5.12b.